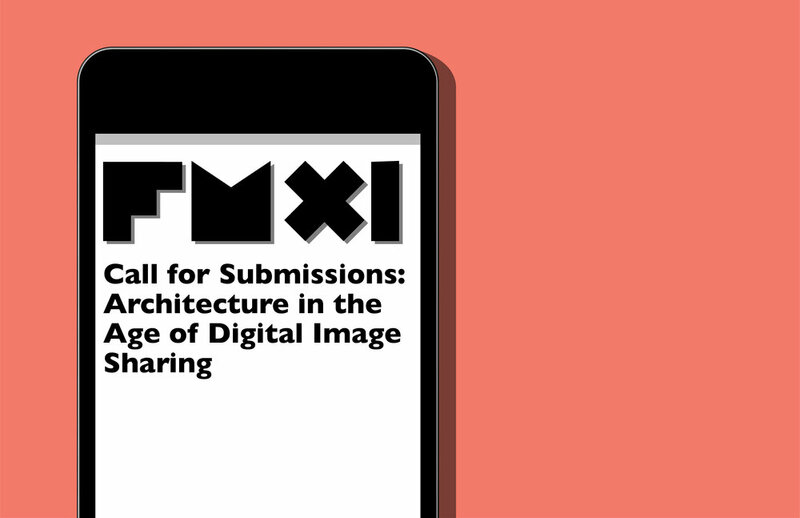 For this issue of FM is interested in receiving reflections, opinions and experiences describing the effects of image-sharing platforms, like Instagram and ArchDaily, on architectural culture and practice. How do digital image platforms affect the way we produce, exchange, teach, and learn about architectural projects? We are seeking an array of positions and work that explores and/or contests the influence of these new mediums on the discourse of architecture.We are also looking at ways in which specific projects utilize image-based internet platforms and/or are made directly for them as opposed to traditional architectural mediums. How do architects curate their own feed to market themselves as designers? In what ways have these temporary blips of images changed our understandings of buildings? How does democratizing the image-making and circulation of architectural media influence how we experience real-world architecture? How does the public frame architecture to co-opt its own narrative? Can you critically analyze the trend of using new technology to produce nostalgic images? Do you have a project that was made specifically be displayed on an internet platform (that we could then publish in print)? Fresh Meat Journal accepts submissions in various mediums, that both respond to and push back on our call for submissions. We ask that you submit your work to a specifific category: Writing or Project. Please submit text as Word documents, and images as .jpeg or .tiff (300 dpi). Submissions should be emailed to fm@freshmeatjournal.com. Fresh Meat seeks writing that is considered and conceived as essays or general observations that relate to the themes of FM XI. Critical engagement with specific themes are preferred. These can be short form pieces, 400-700 words, or long form pieces, 1000-2000 words. All source citations should follow the Chicago Manual of Style. Along with writing, Fresh Meat seeks an array of projects that correlate with the themes of FM XI. A project statement must be included describing crucial information that further articulates the project’s directive and relationship to FM XI. Include 1-4 photographs, drawings, or renderings. Contributions to FM XI must be submitted electronically to FM@freshmeatjournal.com by 31 June 2019. Please note all contributions are made voluntarily and without profit. Founded in 2008, Fresh Meat Journal is produced entirely by students at the University of Illinois at Chicago School of Architecture. With contributors varying between students and international practicing architects, we aim to produce a journal that raises interest among an audience within the architectural discipline of Chicago and beyond. Operating through digital platforms, printed media, and social events, FM curates conversations to examine the role of architecture in today’s world.